In the master plan of the redevelopment of the former industrial harbor Bjørvika, funding for art is stipulated along with access to the site during the construction phase. This article looks at an intervention, from 2005, of the artist Marianne Heier, in relation to the strategic use of imagery in place branding and the use of images to structure change. The epistemological dimension of images will be argued to have ontological implications on how we perceive the world and consequently act upon it. This article suggests the need for a critical approach to mediated images in the context of urban development. By discussing the relationships between Lorraine Daston’s use of the notion of ‘skilled perception’ and Jaques Rancière’s concept of the ‘distribution of the sensible’, I attempt to draw attention to how our perception is skilled and thus affects what we hold in common. Ultimately, the formation of public spaces is the subject of the article and by pointing to the role that images play, as the way we see the city is shaped, this paper shapes the need for images that unveil otherwise unrepresented potentials and interests. 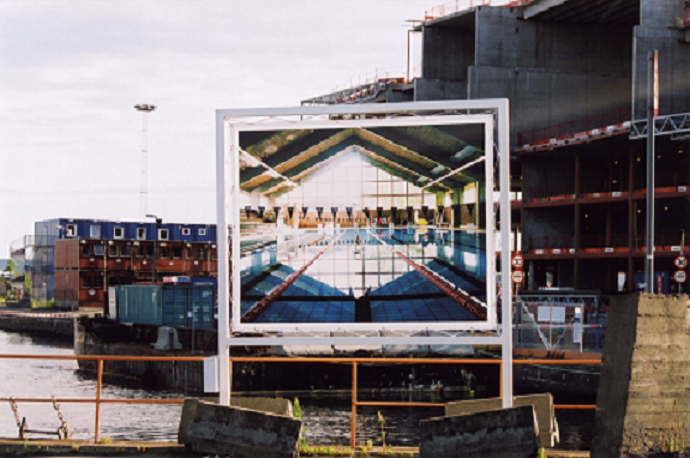 The notion of skilled perception is presented as a tool for investigating how mediated images in Bjørvika form the basis of perceptual habits, and are suggested to be of use in grasping the “politics” of artistic interventions within the larger constructed image of Bjørvika. Charlotte Blanche Myrvold is currently Ph.d.-fellow at Oslo and Akershus University College of Applied Sciences/The Oslo School of Architecture and Design. She holds a MA-degree in aesthetics from the University of Oslo. Her research subject is public art in urban redevelopment contexts.